Warren Farm is a fantastic local resource that has been neglected for too long. 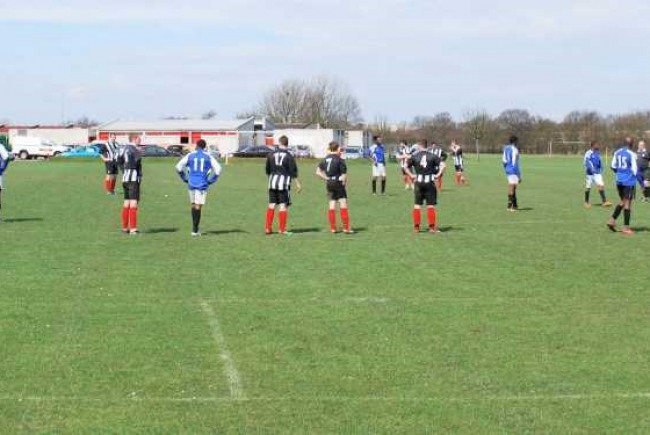 It contains the best sports pitches in the borough but could be used for so much more. Bring it back into public use. 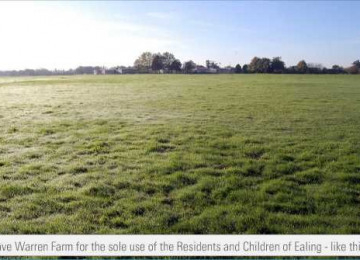 This space contains the best sports pitches in the borough but could be used for so much more. It is ideal for big space festivals such as the TSSA and APNA multisport events that were taking place there a few times per year. With a perimeter of over 2km it would make a great fun run site. 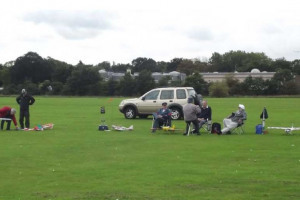 The model aeroplane flying club would love to return, the horse stables would love to have a bridleway, a newly formed rugby club would love to have a home ground. On top of that, all the cricket and football clubs would love to return. But that is not all. There are many other non-mainstream sports that could be opened up to the community. Local children would love the opportunity to learn to ride a horse. The local archery club also needs a new home. We must think outside the mainstream box! With the entire 61 acres, even the largest of multi-sports event can return to this wonderful sports centre and exercise as they have done for generations. Reinstate changing rooms and toilets for the sports fields. The greater the diversity of sports available locally the more likely it is that the community will get out and get fit. This will reduce the strain on the NHS for physical and mental health conditions. Many sports clubs and associations already want to use the area again they just need the sports centre to be reopened to the public with suitable changing rooms. Once the entire 61 acres of Warren Farm is back in public hands and in the control of the vast community of people who value their asset, we will be able to restore Warren Farm to the glorious sports centre that made it famous throughout London back in the days of the ILEA. The council has allocated £625,000 to fund three innovative projects in the borough. 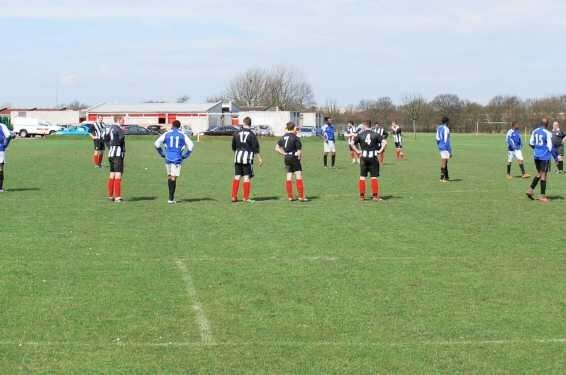 There are many sports clubs in the area ready to start using Warren Farm again and thus help fund it. All we need is for the council to drop their plans to give the land away to a commercial operation for a peppercorn rent and start to think about the community instead. We already own the field, all we need is help with fundraising to restore or replace the changing rooms to a state suitable for adults and children. This is a fantastic opportunity for the people of Hanwell, Ealing and Greater London. Don't let it slip through your fingers. 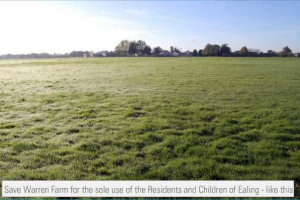 Despite receiving more votes than any other project, Ealing Council declined to fund our project on the grounds that some of the council members still want to give this public land to their favourite football club. 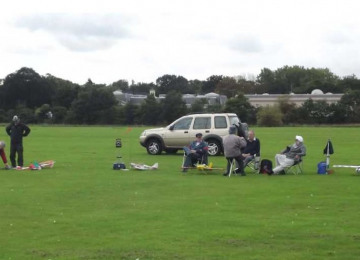 I live locally to Warren Farm Sports Centre and use it regularly for model aeroplane flying. Many other locals, schools and others use it for cricket, football and sports events. The council have neglected the facilities for decades and now want to give this public land to a commercial company for 200 years at no rent. The public, understandably, want to keep it for public use. To convince the council to change their minds we will have to provide an alternative. Our plan is to make a community bid to take over the management of the centre, find funding for new changing rooms and bring this fabulous space back into full public use.